South Korean technology giant Samsung became the first ever company to launch a smartphone with a hole-punch display when it unveiled the Galaxy A8s last year. When the Samsung Galaxy A8s was launched, the device was available in three colours – Blue, Grey and Green. Soon afterwards, Samsung rolled out a ‘Female Edition’ of the Galaxy A8s smartphone that has a yellow-pink coloured gradient back panel. Now, the Samsung Galaxy A8s has been launched in the fifth coloured variant, which is called the Unicorn Edition or the Unicorn Pink. The new colour variant has a gradient back panel with pink and blue shades. 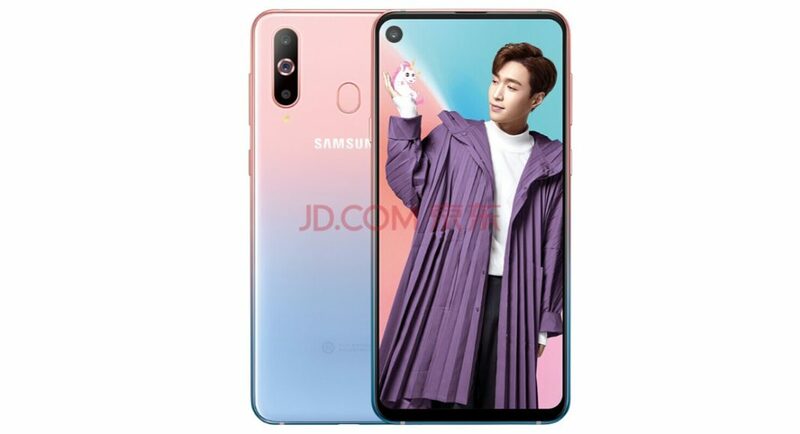 However, we should mention that the Unicorn Pink variant of the Samsung Galaxy A8s is only available in the 6GB RAM/128GB storage model and as of now, is only available in China. Powered by Qualcomm Snapdragon 710 processor and has an LCD screen with a Full HD+ resolution and aspect ratio of 19.5:9. The smartphone has a triple rear camera setup with a 24MP sensor with an f/1.7 aperture, a 10MP telephoto lens (with f/2.4 aperture) and a 5MP depth sensing sensor (f/2.2 aperture). The top left corner of the display has a 6.7mm hole that houses the 24MP selfie camera of the smartphone and because of this, the device by Samsung comes without any notch. We should mention that Samsung calls this type of screen as Infinity-O display and it has previously said earlier that it has come up with it to give its users a full-screen experience. However, we cannot rule out the possibility of the hole-punch on the screen causing hindrance while watching videos. The back panel of the smartphone houses a fingerprint sensor and the device comes with a 3,400mAh battery with adaptive fast charging support. Samsung Galaxy A8s runs Android 8.1 Oreo skinned with Samsung’s UI. Samsung Galaxy A8s is available at JD.com for CNY2,799. There is another variant of the smartphone that comes with 8GB of RAM, however, that will cost you CNY300 more than the 6GB RAM mode. Also, you would have to pick between Black/Green and Blue variants if you are buying the 8GB RAM variant, as it is not available in Unicorn Pink colour.